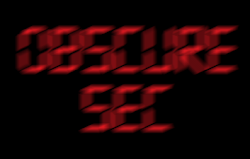 Excellent tutorial by Offensive Security on the basics of using Metasploit. Series from Bernardo Damele AG on all known NT/LM hash dumping methods. Six-part series from Chris Gates on methods of getting shell through Oracle. Mubix has organized several great post-exploitation resources on Google Docs. SynJunkie goes through a quick introduction to PowerShell. Carlos Perez does a great job introducing security pros to PowerShell! The Corelan Team has put together great tutorials on exploitation which are regularly referenced (or stolen) in most exploit writing classes. This guide to using PowerShell remotely is extremely detailed and has already been updated several times by Don Jones. Download the zip and check it out. Excellent post by d3ad0ne about keyboard patterns and a script to help crack them. Great way to use PowerShell to bypass application whitelisting and AV by Matt Graeber. Scriptjunkie discusses how payload generation works and the comments references a great AV bypass. Didier Stevens does a lot of great research, but I have heavily used this macro on engagements. This is actually another link page on the Command Line Kung Fu blog but its really helpful. Mark Burnett lists several ways to compile an effective password dictionary. Mihi scientifically explains AV evasion with meterpreter payloads. A common debate from some people who know. A good writeup on report writing and focus on business value for pen testers by Ed Skoudis. *What to do with the local Administrator account? A discussion about the risk associated with different Local Admin password strategies. Over a million views on youtube. We have all had a conversation like this. A short talk about language inconsistencies. Bill Gates getting a BSOD is still funny. Lean how you can become a Infosec Rockstar (Hint: not a good thing).